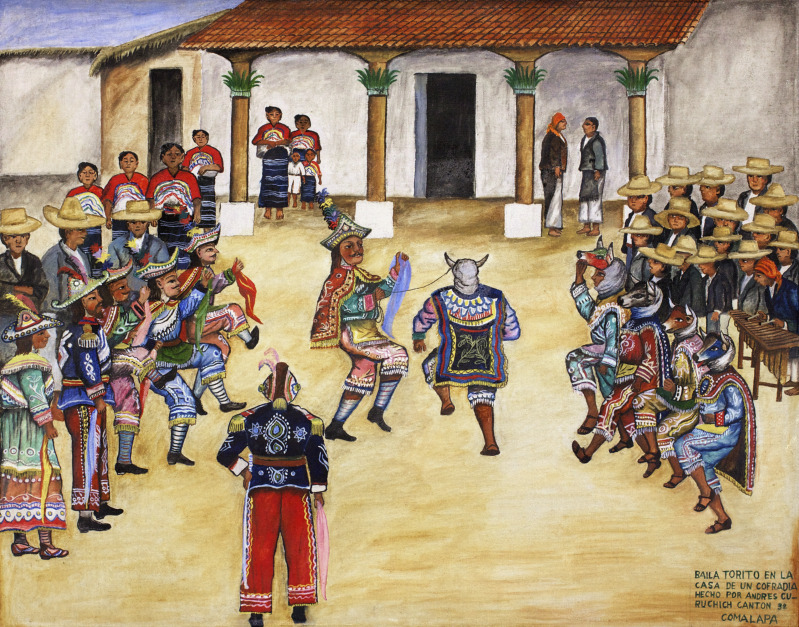 The museum houses a collection of oil paintings by the Kaqchikel painter Andrés Curruchich (1891-1969), one of the pioneers of popular or traditional painting in Guatemala. His works depict the daily life of his home town, San Juan Comalapa (Chimaltenango), through scenes such as the maize harvest, the barber, washing day, and the market place, as well as local traditions including Easter processions, Christmas posadas, the visit of Baby Jesus, dances, cofradía ceremonies, and celebrations to honor Saint John, the town’s patron saint. They also show traditional rites – the blessing of a house, a baptism, a wedding, and a dirge sung on the way to the cemetery. The local folk that appear in his work are of interest as they wear Comalapa attire, except for the merchants from other towns. Although Curruchich made annotations at the bottom of each piece, he never put the date, so it is estimated that the pictures shown are from the middle of the 20th Century. 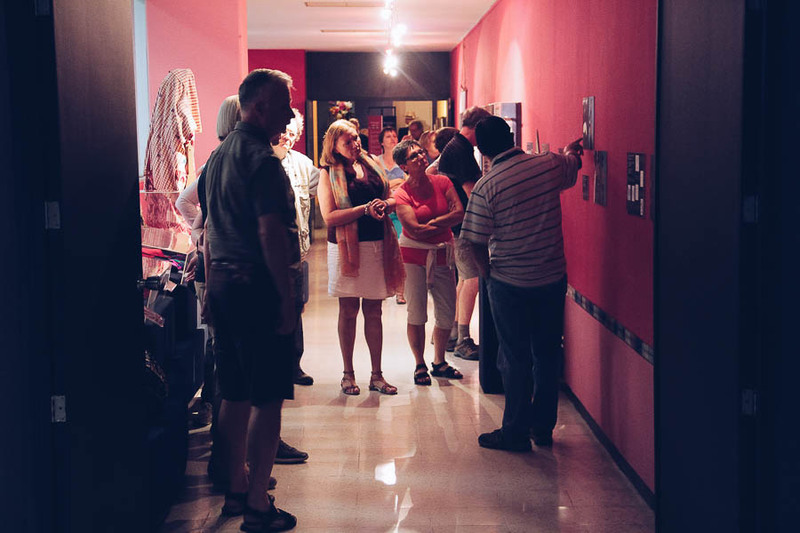 Around this time the painter came to the notice of the art collector Gustavo Stahl, whose family later donated this collection to the Ixchel Museum. Su’t is a word used in various Mayan languages, and in Spanish it designates a cloth, kerchief, or napkin. It may be made of one or two pieces joined with an embroidered seam (randa). Very old in origin and certainly used by the Maya, the su’t is still ubiquitous in indigenous life, in everyday use as well as in ceremonial and religious rites. Among its many functions, it can be easily folded to become a wrap or a bag. In Guatemala, the indigenous cofradías, or religious brotherhoods, are an integral part of the cultural syncretism of those towns where ancestral customs and traditions still exist. Originally established for the propagation of Catholicism, over nearly 500 years they have acquired a religious, civil, and political status. The cofradías, custodians of ancestral wisdom, form part of the syncretic culture of communities that still cling to ancestral customs and traditions. 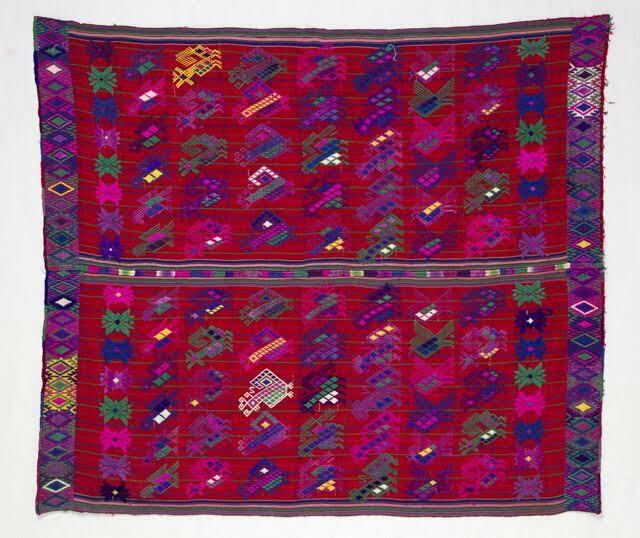 As seen in this exhibit, differences in color, texture, design, and use are manifest in the garments and textiles used by members of the various cofradías and stewardships represented. Ixchel Museum houses the watercolor collection painted by Carmen l. Pettersen between 1970 and 1975. This renowned Guatemalan artist depicted, in her uniquely detailed and authentic style, the distinctive dress of diverse Maya communities in Guatemala. Her paintings are valuable graphic testimony to the attire used by the Maya between 1940 and 1975. Apart from Mrs. Pettersen’s watercolors, this room presents objects and memories from her life, as well as the distinctions she received.